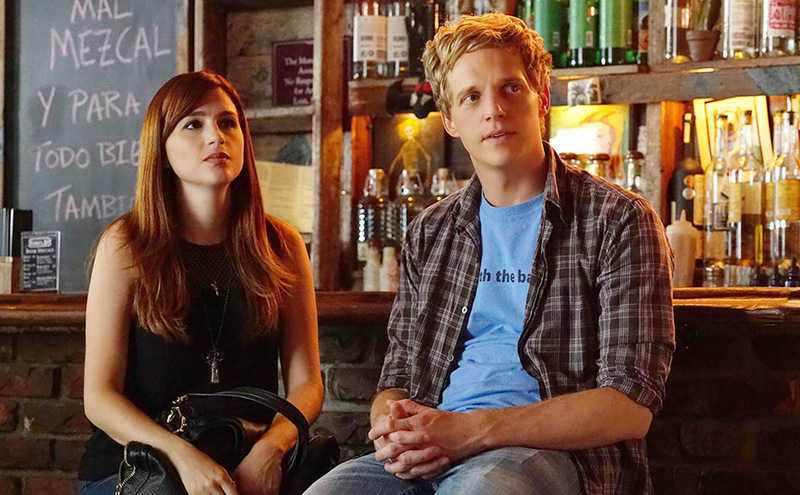 After the devastatingly honest look at depression, relationships and all that falls in between in season two of You’re the Worst, the critically acclaimed series has an even tougher hurdle to clear in terms of matching its own quality. They’ve set that bar mighty high but, if the casting of Samira Wiley as Gretchen’s therapist is in any way indicative of just how good the third season is going to be, we’re in for a treat. The gang is all back and seemingly trying to wade through the newest challenges last year set up for them. Gretchen has the most obvious new path in life as she deals with her admittance about her mental illness and the need to take steps with medication and a therapist to better herself and her life. Edgar is moving forward with his girlfriend, separate from the life he’d been living while at Jimmy’s while Lindsay moves back in with Paul which, as we all assumed, she seems to have begun to regret rather quickly if her angrily chopping mushrooms is any indication. And Jimmy? Well, who’s to know with Jimmy but hopefully we’ll see him on his own storyline this year as well as one that’s reactionary to Gretchen. I was ready for season three the moment season two ended. Check out the trailer below and tune in for the season three premiere on August 31st and make sure to head on over here afterwards for reviews of all the latest episodes.